> Shop>Parody Condoms>Condom When You Have To Shoot, Shoot! Don't Talk. 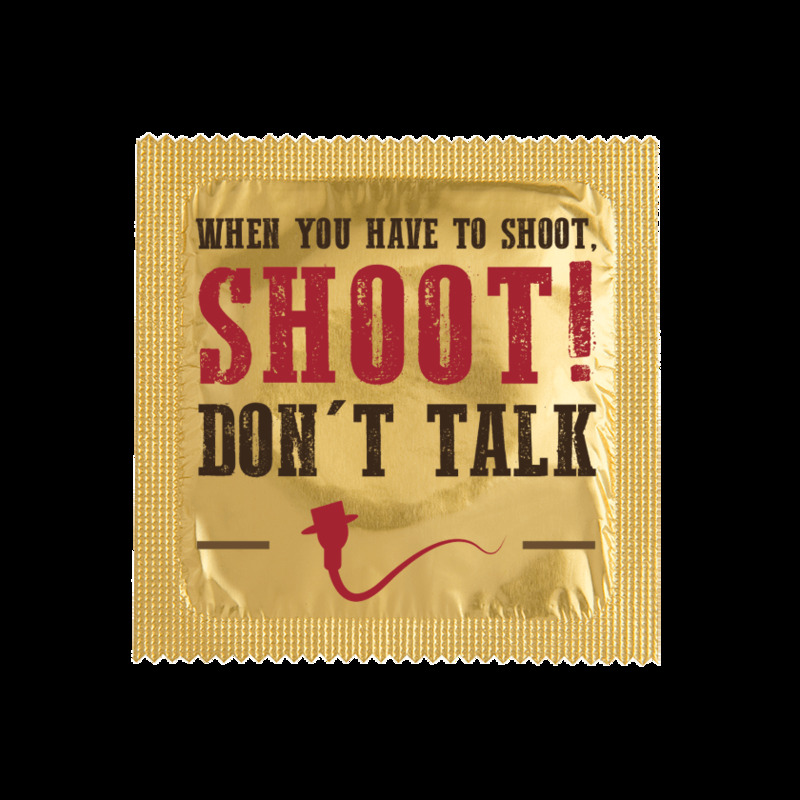 Condom When You Have To Shoot, Shoot! 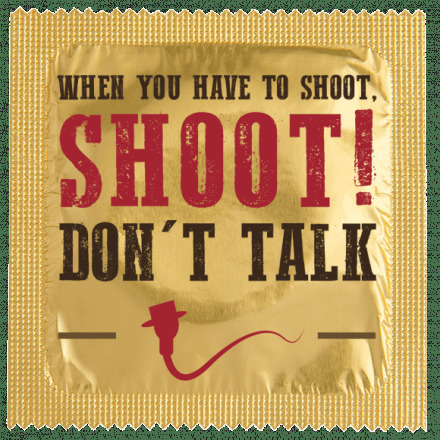 Don't Talk.